Location/ Directions: From I-75, Take exit 49 for TN-30. Continue to follow TN-30 to N.Tennessee Ave and turn right. 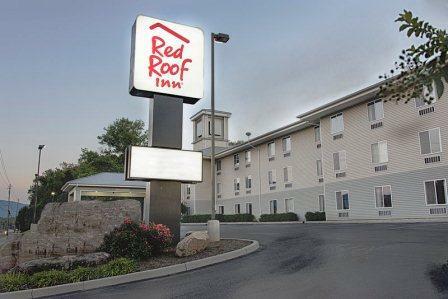 The Red Roof Inn is located 0.2 miles from the intersection of TN-30 and N.Tennessee Ave.
About Hotel: 3-Floors, 74-Rooms, Interior Corridors, MINI-REFRIGERATOR, IN-ROOM COFFEE, IRON/IRONING BOARD, FREE CONTINENTAL BREAKFAST, ELEVATOR, COIN LAUNDRY, CABLE TV, SNACK CENTER, FREE PARKING, PETS STAY FREE, PORTABLE CRIBS. Railroad View: Expect a Fair to Good View, depending on trees along the railroad. Any room on the front of the motel should offer a railroad view. 2nd & 3rd floor rooms will keep you above the parking lot.